I have to tell you guys something. I've been keeping it a secret, more or less, for about six weeks now. Okay, admittedly, it's not very exciting, but I wanted to let you know that I stopped using shampoo and switched over to using shampoo bars instead. I switched out my shampoo mostly in an effort to reduce my plastic consumption, but also to avoid some of the toxic chemicals in the salon shampoos I've been using. Even the Aveda stuff I have has a few nasty things in them and want to avoid. I ran across a new shampoo bar in my local grocery store, sold by Camamu out of Portland. I later saw that it was sold at my local co-op in a number of different kinds. I've tried both the Rosemary and Laranja bars and liked them a lot. The Laranja works better for my hair since it's blondish. My husband has been using the Rosemary (he has black hair) and has been totally loving it as well. It took about a week after using it for my hair to feel decent, mostly because I think it was adjusting to not being stripped and having all those silicones getting deposited as with the standard shampoo. My hair looked fine, not greasy or anything, it just kind of felt a little weird. But, I was also trying to switch out a few things at once so I'm sure that had something to do with it as well. Anyway, now I just use a shampoo bar, a little Aveda conditioner (without any creepy parabens and whatnot) and that's it. One thing I've noticed is that my hair is super shiny. Like fake, hair commercial shiny. My hair has never been shiny, probably because of the shampoo film that's been coating it all these years. About two weeks into my shampoo bar adventure I was in love and decided that I wanted to try to make my own. So, after extensive research and going through my soap making stock, I settled on my own recipe. Below is the basic recipe, I'll tell you how to customize it for your hair color at the end. Oh, and one more thing, this is a cold process soap. Please follow all the basics for making this type of soap. In other words, be careful with the lye - I'm not responsible for soap making calamities by posting this recipe online. If you don't have the right fats, feel free to switch them out (use an online lye calculator to adjust the lye! ), just make sure to leave in the castor and jojoba oils. That's what makes this a shampoo bar and not a body soap. Cut into bars when solid. When I made it, this took about 4 days, but check frequently. Let the bars cure, covered by a towel, for 4 weeks. I like to call this one, California Sunshine Shampoo Bar. Follow the above recipe except, instead of the distilled water, steep a half cup or so of chamomile tea herbs in 12 ounces of boiling distilled water and strain well. Measure out 8 ounces and use this for your water. At trace, add in 1 ounce of lemon essential oil or use a mix of citrus essential oils. I used a combination of lemon, orange, lemongrass and bergamot. Follow the above recipe except, instead of the distilled water, steep a half cup or so of chopped rosemary in 12 ounces of boiling distilled water and strain well. Measure out 8 ounces and use this for your water. At trace, add in rosemary and mint essential oils. Sounds good! I need to source some sustainably produced palm oil, so I can give it a go! I have been shampoo free for more than 6 months. We have hard water so we use the boiled water with baking soda method. Its working great on the oil (as in we don't have any oil residue) but we do all have flakes (not worse than when I used shampoo and no itch) just white residue (that online research indicates might be soapscum residue from my hard water. I am tempted to put in a shower head filter/softener (I just haven't found one made in the USA and out of metal instead of plastic). Shampoo bars intrigue me, but Lye frightens me so unless I can find some at my co-op, I won't be giving that a go anytime soon. Strangest thing is my youngest (who always hated washing her hair and consequently would only get it washed once a week or so) has adjusted the best to the routine and is only now showing any flakes. I have to try some rosemary tea (as Tea Tree Oil is out). In the post you mention adding essential oil at source - for us non soapmakers what does that mean? I thought hair and skin had the same ph, so if soap dries out your skin, will it dry out your hair? I've always been scared to try soap on my hair because everyone gets all yelly about how bad it is for your hair. I guess that is just a ploy to make you buy shampoo? I want to try this because I'm sick of buying plastic shampoo bottles. Crunch - if I send you my address could I buy a bar of yours to try? I'm scared to death of making soap.....its the lye thing coupled with 2 younguns always around. Crunchy, do you have hard water? I'd love to find a good alternative to BS and ACV for the places where that doesn't work. What a timely post. Over the weekend I discovered a local soapmaker who just opened a store. I'm very excited. She makes tallow soaps in lots of different essential oil scents and non-EO scents. She also makes some vegetarian soaps, shampoo bars, liquid shampoo and conditioner, Dead Sea salt scrubs, lotion, lip balm, natural sunscreen, deoderant and probably some other stuff I'm forgetting. For fun she gave me a gallon jug of laundry soap and will teach me to make it if I like it. Her store smells great and it is pretty close by. Did I say I was excited? Which recipe should I use for gray hair? Why are there different recipes for different colors of hair? Tree Huggin Momma - You wait for the soap to thicken enough to leave a "trace" across the liquid when you drizzle it over the surface. Then you add the essential oils. Some oils will cause your soap to seize (harden quickly), so usually you add it at the end, right before you pour it in the molds. TheSimplePoppy - What kind of soap are you using that dries out your skin? Since I switched to non-petroleum based soaps I haven't had a problem with dry skin. As for the shampoo bars, the castor and jojoba oils are conditioning. A lot of people who use shampoo bars don't use a conditioner and I didn't for a few weeks, but prefer using a little conditioner now. So, no, the shampoo bars will probably be less drying than regular shampoo since they are not detergent based. As for the ph thing, I've heard that as well, but it doesn't seem to be an issue. I haven't ph tested the bars so I can't tell you how they compare. Aydan - Seattle has some of the softest water in the country, which is probably why this works well for me. I don't know how it would compare in areas with hard water, but maybe some readers have some suggestions on that? I think a vinegar rinse is generally recommended for that. CTDaffodil - I can send you a bar, or you can try Chagrin Valley. Many people who use shampoo bars buy them from there and they sell sample sizes so you don't have to buy a huge bar. Mary - For grey hair, the claim is to use chamomile/lemon to lighten or sage or rosemary to darken. So it depends on the color of the grey. Carley - The chamomile and lemon give hair golden highlights. And the rosemary and sage will bring out highlights in dark hair. A red tea rinse can add red highlights. I'd love to try this but I've never made soap before. Is there a lot of equipment needed? I use chammomile and lemon in my homemade lightener, and it would be neat to try it in shampoo every day. The only thing is that my hair is pretty sensitive to the sun and lightens a lot in the summer, so using that bar every day might really bleach my hair! Did you make any sans chamomile/rosemary? Sounds like a good recipe, and I hope to try it sometime! If I have naturally red hair, what would you recommend? Hmmm, now that I think about it, I guess it could be having the heat and the hot water that dries my skin out more than the soap. I've always used all natural, vegetable based soap,(right now Trader Joe's) but sometimes my skin is so dry it's itchy. I'm going to try this. My hair's long. Do shampoo bars work if you have long hair? It seems easier to wash everything that needs washing if you have short hair over long. Mmmm, wonderful! I wonder how goat's milk soap would figure into your formulas. I know the lactose is good for hair and skin. I love your formula Crunchy. I'll be saving it for future reference. Thank you! I've been making soap off and on for six years. I found a lot of info out there, but my most trusted source is http://www.thedishforum.com. I love handmade soap for everything from the laundry to brushing my teeth. I think everyone should give it a try. There are quite a few great soap makers around, if you don't feel inclined to make it yourself. 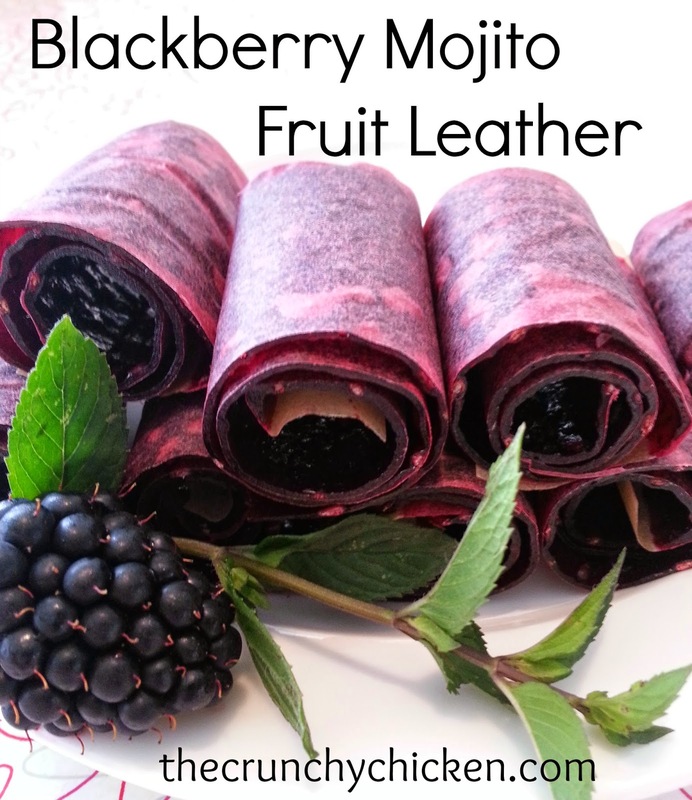 Thanks for this recipe and what a wonderful, informative post! I've enjoyed the comments to! I've made cp soap before, it can be intimidating, but as long as you are careful, it's not difficult at all, though lye sometimes can be difficult to locate. I am definitely going to give shampoo bars a try. I'm so sick of all the bottles cuttering up the bathtub. Hi, I love your post and am very excited to actually try it out. However I am a graduate student in Birmingham, AL, something that poses two problems: 1) no money, 2) very few organic shops with very few items available. Can you suggest a web site or a shop in birmingham/Atlanta (it is just 2hs away) that would carry all or most of the oils I need? I've been using shampoo bars since '05, they work great! I'm a big fan of Lush's Reincarnate which has mud and henna and is scented with Labdanum, it's part of their "retro" line now, so I'm looking to start making my own. If you ever want to ditch the conditioner, I have been using vinegar as a rinse rather than conditioner, and it makes my hair amazingly shiny and soft. About a tablespoon in 1/2 cup of water. This shampoo bar is such an intriguing idea. I have tried to go shampoo free, but have not found the right way to do that yet. Jill, do you ever sell your items up in Alpena(MI - small town) at farmer's markets? Or just online? What sort of mold did you use & how many bars does the recipe make? I have been making soap for 22 years and have found that if I make a medicinal oil from the herbs rather than make a tea with them, the medicinal qualities are much stronger in soap. Chop your herbs, put them in a crock pot, cover with oil of choice (I generally use evoo or jojoba), turn on low and with lid off, let simmer for 2 days. Strain and use in soap, salves, etc. Thanks! Washing hair in cool/luke warm water should help with drying for those concerned about that. The chlorine and minerals in tap water can do a number on your hair. There are filters you can buy for your shower you could try that may help. Also coconut oil makes a great natural conditioner as does olive oil (you can put it just on the ends and leave it in- or put it on the ends before washing). I like coconut because of the smell and it seems lighter in my hair, but it is pricier so I usually opt for olive. I can't wait to try making shampoo bars! I think they would make great holiday gifts! Thanks as always for the great posts and sharing your knowledge and adventures! 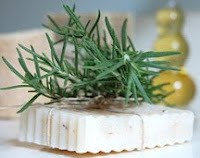 I make a very popular 82% organic Hemp Oil Soap & Shampoo Bar. It's my best seller. You can get sustainable organic virgin palm oil that comes from old family farms in Africa (where the trees are native) from www.tropicaltraditions.com. My soap is used "from the top of your head to the tips of your toes"; no conditioner needed. It's all I have in my bathroom. Listed on Leaping Bunnies & safecosmetics.org. You have to be careful with lye! I tie a tea towel around my mouth & nose when using it and keep a jug that is used only for mixing the water and lye. When your soap is cured, it's perfectly safe. You can't make soap without using lye. Also keep the lye in a very safe place. Good morning, I am so inspired by your article on shampoo bars, that I am convinced to make them, not just for my husband with short hair, but myself also. I have all the ingredients but Jojoba oil. is there a substitute you could recommend? I found a shampoo bar I love and I want to try to make it myself. Maybe adding in a nice scent too. I have the basic ingredients now, how do I figure out how much of these things to use? I love shampoo bars and greatly prefer them to bottled shampoos. If you're having trouble sourcing jojoba oil, and you have medium to oily hair (like mine), you can try substituting olive or peanut oil for the jojoba. For drier or coarser hair, I've found that shea butter or ghee (clarified butter) works wonderfully as a replacement for jojoba for my husbands hair. To bring out the red highlights in my auburn hair, I use a combination infused from saffron (or less expensive safflower), beet juice, rosehips and alder bark... with a touch of ginger to bring out some of the warmer gold tones. If you have access to madder root, henna, cherry bark or hibiscus these are also great for red hair. One note about shampoo bars, hard water, and flakes... only wash your hair once or twice a month and rinse with *filtered* water and ACV! Rinsing with filtered water and ACV during your daily shower is usually enough to keep your hair clean unless you're sweating a lot or actually getting much in it. Your hair might feel funky for a week or two, but after it gets used to being washed less frequently it will be healthier and shinier than ever before (and often won't need any additional conditioner at all!). EVERYONE, especially Tree Huggin Momma, I did the Baking Soda and ACV for three months and I can tell you if you have hard water the baking soda will give you a white plume, basically it is lime scale and soap scum build up YUCK! If you have soft water it helps but not as good as it could be by forgoing the baking soda altogether and just doing the vinegar as a wash/rinse. I use my homemade Castile soap in place of shampoo being rubbed on wet hair lathered up, then rinsed out real good till it was squeaky clean, then I rinsed with 3TBS WHITE Vinegar to every 1 Cup Filtered water let soak for 3 minutes then rinsed off till it was squeaky clean again. ALWAYS comb your hair before getting into the shower and never pile your hair on top of you hair when you wash it, that creates tangles. I use a lint free towel or a chamois to help prevent lint in the hair when drying off, lint causes tangles. use a wide tooth comb on your hair when it is wet, never use a brush on your hair when it is wet. My hair is thicker, shiny and I don't have to wash my hair but once every 5 days. You can use a shower cap in between washes. My journey over all these years trying to find a good shampoo has led to frustration. Having very long hair I need quick easy methods for care. I made a shampoo wash by grating one 2 ounce bar SOAP into 2 quarts boiling water. you can add 1 tsp glycerin to each 12 ounce bottle. You can also use it on scrunchie for body wash. Anyone could just use Ivory if they can't find homemade soaps locally, all other bars are deodorant bars or cleanser bars, Not soap. You can make up a bottle with the sea salts 2 parts shampoo to 3 parts sea salt 1 tsp. glycerin in a jar to use for occasional washes. 2 ounce Soap grated into two quarts boiling filtered water. start out using 1 TBS White Vinegar first if you are still having oily hair increase it to more vinegar but not more than 3 TBS Vinegar.